Building a showcase iOS open-sourced app that would solve a real problem and show the full potential of Netguru's Design Team. Reflecting the interface of Mailbox. Creating an advanced design with multiple interactions. Preventing the design community from missing interesting images. Creating a beautiful native app that will completely change the routine of a great and active design community. Creating a well-considered gesture-driven interface. 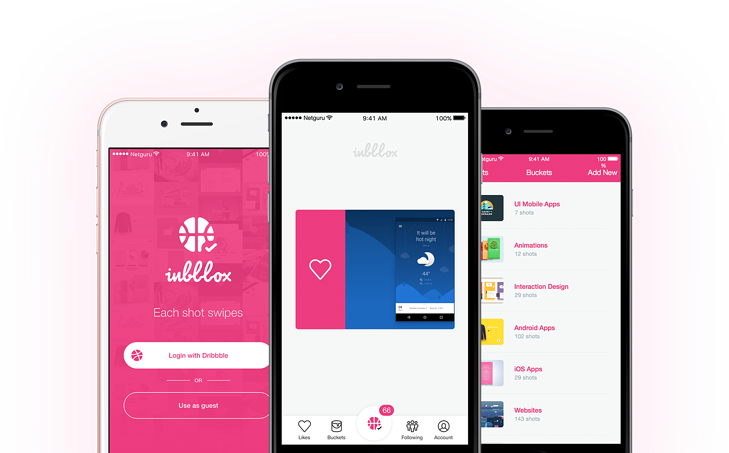 Enabling the design community to browse Dribbble shots anytime and anywhere. Netguru's Product Design Team engaged the design community, which helped them gather constant feedback about the app. Translating the app into multiple languages . Solving real problems with an internal showcase app.